Cirque de la Symphonie's strongmen act is just one part of the show performed alongside the Boulder Philharmonic Orchestra. Boulder Philharmonic Orchestra presents Cirque de la Symphonie, 2 and 7:30 p.m. April 2, 2016. Macky Auditorium. $15-$62. The band X has been around in some way, shape or form for almost 40 years, and that’s not an accident. These legends of the punk scene are returning to Denver to play the Summit Music Hall. The show will include the band’s original guitarist Billy Zoom, who’s been out of the spotlight for a bit while dealing with cancer. One of Fort Collins’ longest running bands, the alt-country act Drag the River, will open. X with Drag the River, 7:30 p.m. April 1, 2016, Summit Music Hall. $6-47 and this is an all-ages show. If this season of The Walking Dead (no spoilers!) has left you wanting more, Walker Stalker Con might be just the ticket. The zombie/horror-themed convention is coming to the National Western Complex and will include several panels featuring past and present Walking Dead cast members, as well as the stars from the film that started the zombie craze, Night of the Living Dead. If you’ve always wanted to see how you’d fare in the zombie apocalypse, there also will be two escape room-style opportunities to try your luck. Walker Stalker Con, 10 a.m. to 6 p.m. April 2 and 3, 2016, National Western Complex. $45-$100. VIP tickets also available. Long a supporter of independent and local films, the Lyric Cinema Café has also become a home for budding young filmmakers to showcase their work. The Fort Collins theater’s two-day High School Film Festival will screen short films from area high school students. Lyric Cinema Café’s High School Film Festival, 6:30-9 p.m. April 7 and 8, 2016. Lyric Cinema Café. $10. 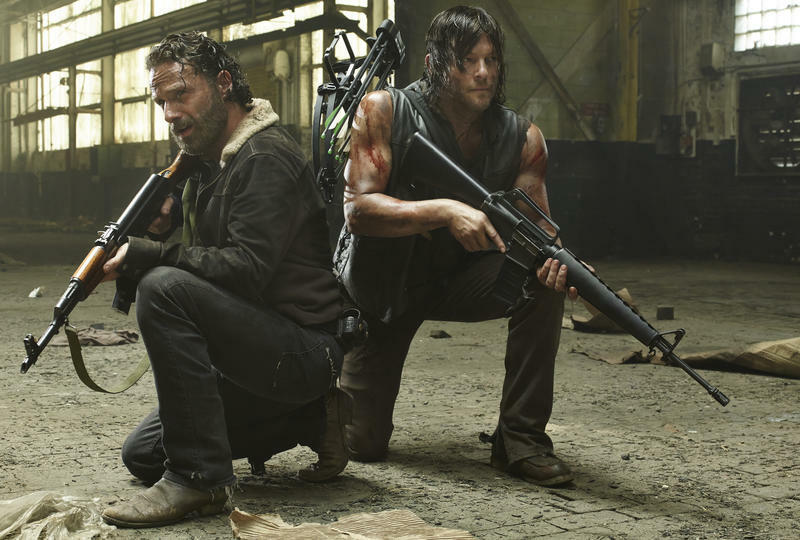 The Walking Dead is so successful – it's TV's most popular show with young viewers and cable television's highest-rated drama – that AMC has already picked it up for a sixth season, days before the fifth season starts Sunday. What is the deal with the people in this place called Terminus? That’s the question the Fort Collins Symphony Orchestra is asking after spending decades renting several of its larger, more expensive instruments. In fact, the only instruments the symphony truly owns is a bass drum and a tam tam, said FCSO music director Wes Kenney. “Anything else either belongs to (our venue), the Lincoln Center, or we're having to beg, borrow or rent it,” Kenney said. A professional symphony renting its instruments may sound a little strange, but it’s not as uncommon as you might think.